With 15 years experience caring for dogs K9 Country retreat is proud to introduce it's brand new carriage house set on 9 beautiful acres, only minutes north east of Uxbridge. Our retreat offers structured activities including trailwalks, ball games, free time, rest time and of course treats. Going away? Vacations are always welcome. So while you relax, why not let your best friend enjoy the country way of life. Fresh air, nature walks, socializing with other guests, games and of course, time to just curl up. Closely supervised, your pet is allowed to roam freely in their surroundings. 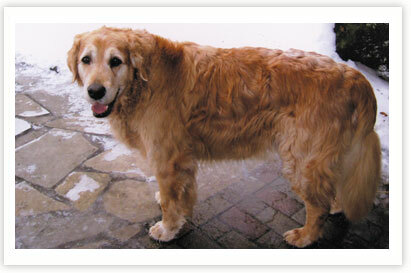 "We have a beautiful golden retriever who is loved by all the family. "Bogie" is now 12 years old and has gone to "Camp Uxbridge", as we call it, for the past 12 years when we travelled. We are confident that when we go away, Bogie will be well looked after. He comes home happy and healthy and is always very excited to see Sally and Barry. 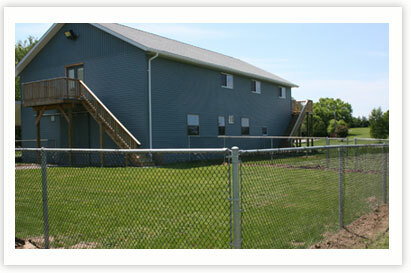 We would highly recommend K9 Country Retreat to anybody who needs a doggie day care that ensures that your pet is well-loved and exercised."